He was born in Milan, Ohio, the youngest of seven children. He was a poor student at school partly due to an undiagnosed hearing problem, yet, as an adult, he became the foremost inventor of his day. 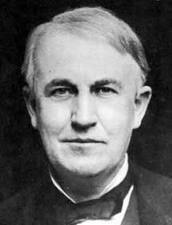 Edison was only 10 years old when he set up his first laboratory in his father’s basement. After working as a telegrapher, Edison moved to New York in 1869 to concentrate on inventing. 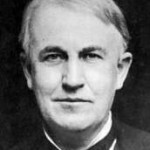 He went on to patent more than 1,000 inventions and is credited with inventing the electric lightbulb, the phonograph, the Edison storage battery, the electric pen, the mimeograph, and the first motion picture projector. 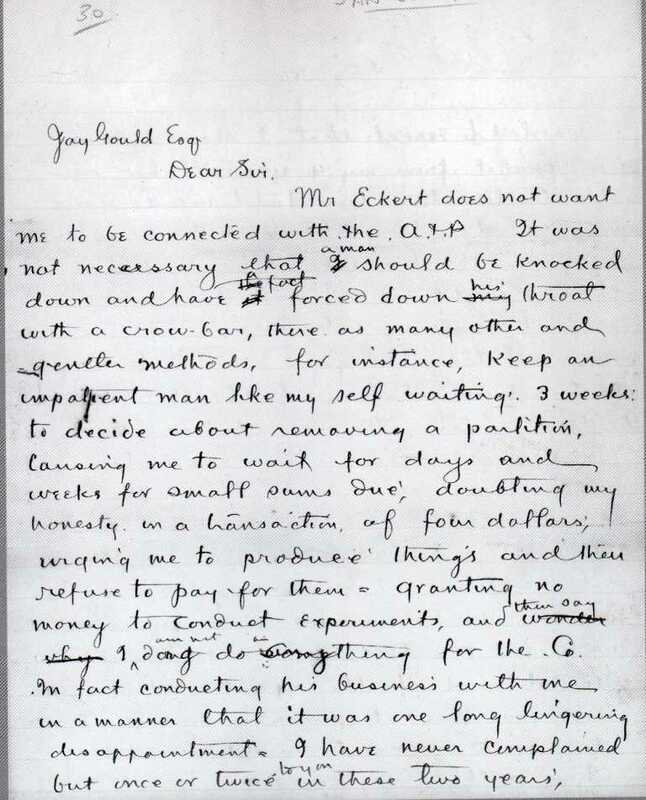 Edison’s handwriting combines strength and flexibility. The chief connective form is the garland, an adaptable, open form that illustrates one who is receptive and willing to listen. He had the capacity to make quick changes of direction and to try new methods when old ones were no longer working. On the other hand, the long, strong f-crosses are made by someone who had no difficulty giving orders, and the upright slant provides additional strength to the garlands. Some words have many breaks between letters, while others have a greater degree of connection. In some cases one word even connects to another, an indication of fluid thinking. Socially, though, Edison could not be counted on for consistency. He had a great deal of charm, but if an idea came into his head, he would abruptly turn on his heel and be gone. keep all the constituent parts in their proper perspective. There is a moderate amount of simplification in the writing, so he was able to go to the heart of the matter without the need for a lot of extraneous details. Edison also left room for intuition, which could burst through the smooth breaks at the baseline and blossom in the middle zone. There is energy in the smooth, rapid movement. The narrow margins suggest one who filled his time with plenty of activity. The flat tops on the letter r are a sign of one who worked well with tools. The lower zone is mixed in length and width, and some downstrokes tend to thin out, so it would have been important for Edison to get enough rest, or his stamina might have given out. Motivated by creativity, Edison’s handwriting has original, simplified forms, as well as what are called cultural letters. These are the Greek e and the lyrical d, which is also a Greek form of the letter. Greek letters are often used by writers and poets, and others who have a propensity for original thinking.